BENSON – What’s a zombie walk without a little Michael Jackson’s Thriller to keep things moving? Benson Theatre will host a pair of flash mob performances to the iconic ‘80s hit during Saturday’s Omaha Zombie Walk. The dancers are part of The Moving Company, the University of Nebraska at Omaha’s modern dance group. They will perform at 6:30 and 7:30pm. The event is free and open to the public. The Omaha Zombie Walk is Oct. 27 from 6:00 to 9:00pm. The route begins at Citylight Benson Church, 5612 Corby Street, and ends at 1912, 6201 Maple Street. Proceeds from the event benefit the Sienna Francis House. Benson Theatre is located at 6054 Maple Street. For more information about the zombie walk, visit www.facebook.com/zombiewalk-omaha. 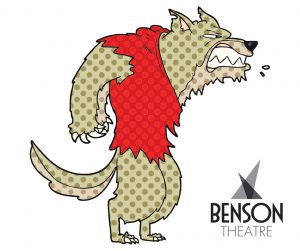 For more information about Benson Theatre, visit www.bensontheatre.org.